We are proud to present certain key rides from The Fair Grounds at the Frankfurter Buchmesse during THE ARTS+, 10 to 14 october 2018. Come and see our carnivalesque attractions and amusement rides augmented with immersive technologies. Take a seat on the Fiat Panda time traveller to participate in a virtual racing game, put on an AR gear and see what happens! Also, don’t miss out the Candyfloss Stand ZOET! The Fair Grounds is made in collaboration with the EYE Filmmuseum, and the Netherlands Institute for Sound and Vision. 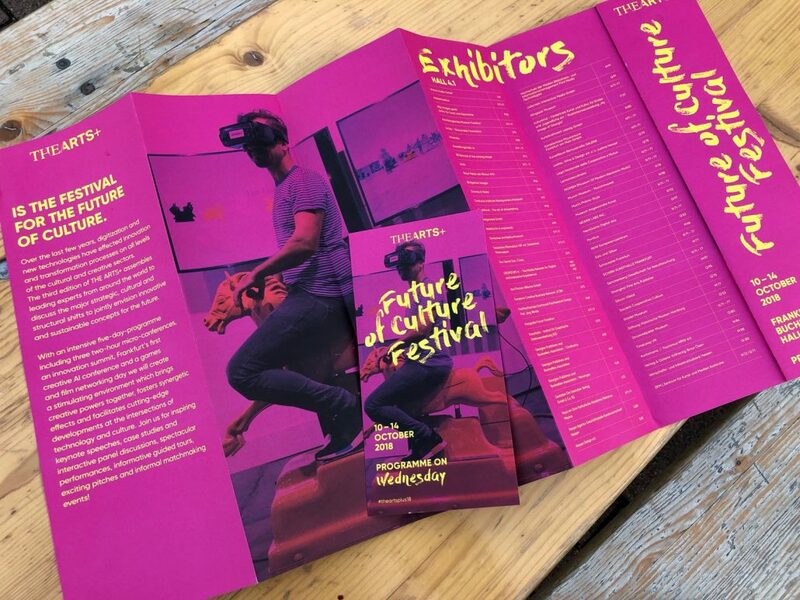 THE ARTS+ – with the subheading “Future of Culture Festival” – is a festival dedicated to the future of the creative and cultural industries and takes place at the Frankfurter Buchmesse in hall 4.1.